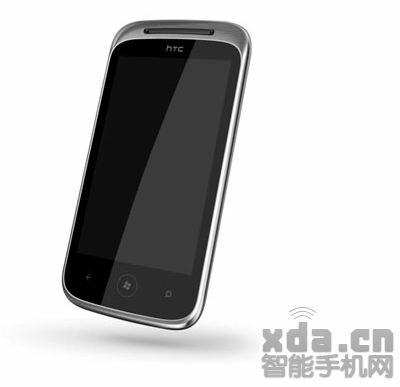 Chinese website xda.xn has leaked two renders of what some are claiming are upcoming HTC WP7 phones: the HTC Ignite and the HTC Prime. HTC Ignite equipped with the latest Windows Phone 7 mobile phone operating system, configuration 480 * 800 resolution 3.7-inch resistive touch screen, using Qualcomm 800MHz processor, RAM to 512MB, with a 500-megapixel camera with autofocus and the LED flash and other features. The phone’s fastest upstream speed 2Mbps, fast downlink speeds of 7.2Mbps. The phone design with straight overall, it is extremely sleek, bottom of the screen using the three touch buttons (ie return to the main menu, look for). 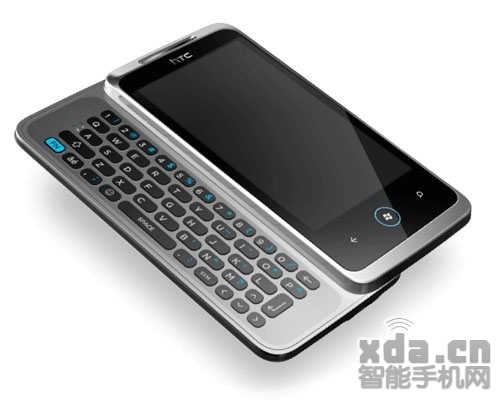 The phone has always been inherited HTC simple elegant design. HTC Prime Windows Phone 7 equipped with a mobile phone operating system, configuration, 480 * 800 resolution 3.7-inch touch screen, RAM to 512MB, with a 500-megapixel camera with auto focus and LED flash and other features. Support wi-fi, Bluetooth and other functions. In the design on this phone with sliding full QWERTY keyboard. I’m guessing 500-megapixel is a mistranslation of 5MP. Oddly, the Ignite has an 800MHz processor and resistive (rather than capacitive touchscreen) — both of which are below the standard of other WP7 devices.